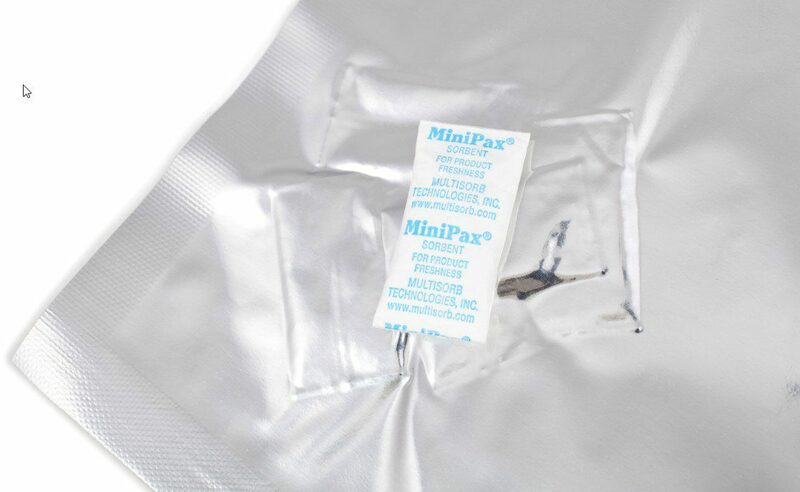 Our Barrier Foil Bags feature 7mm seals and tear nicks for easy opening. We supply from as few as 1000 units. 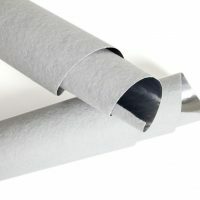 This material is an exclusive high performance aluminium barrier laminate foil. It is our most popular construction for good reason. It displays both high strength and high barrier properties. 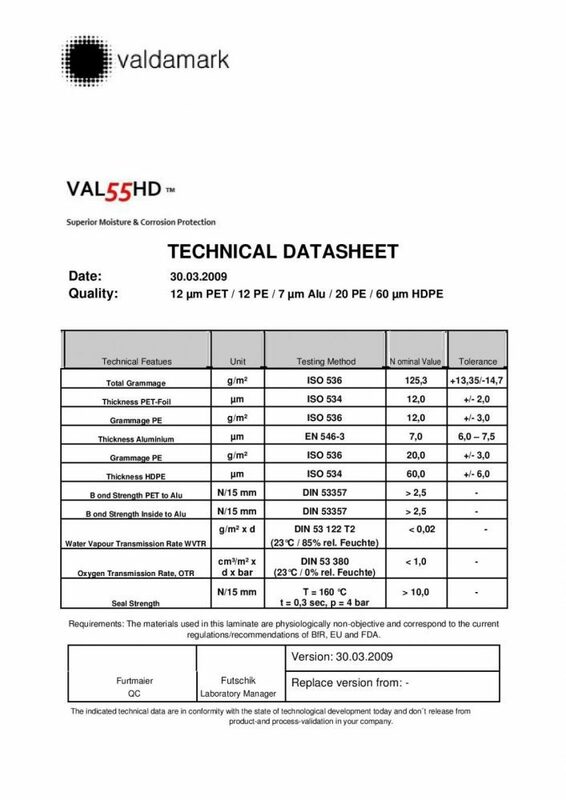 When compared to competitors laminates the VAL55HD demonstrates a build that is lighter but stronger. Perfect for protecting sensitive items from moisture and corrosion damage. Anywhere this may occur in the supply chain. 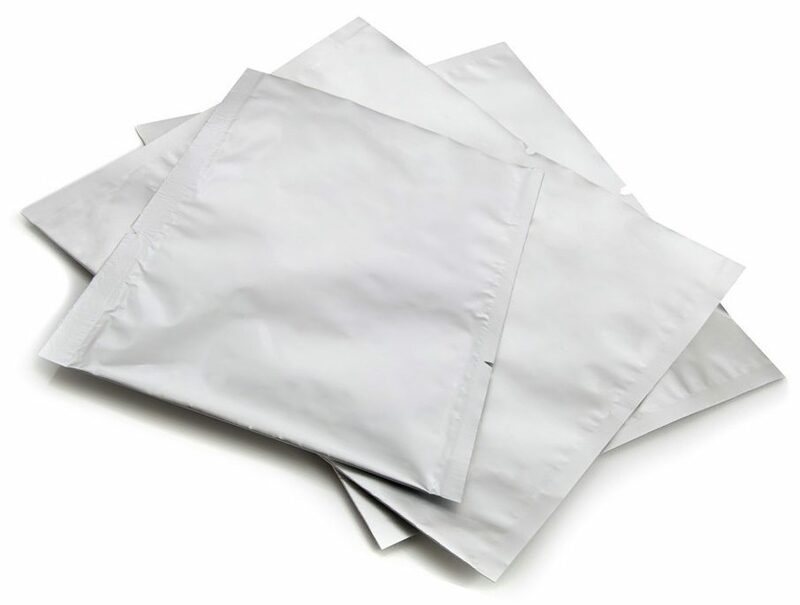 These aluminium foil bags are laminated with Polyester and Polythene layers, producing the ‘barrier’. 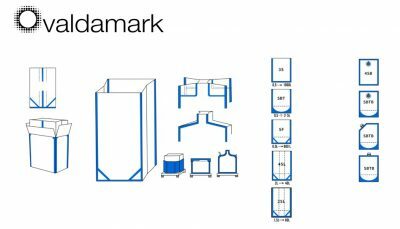 Designed to protect your goods when being transported and stored. This construction gives optimal protection for goods. Particularly those that are vulnerable to moisture and corrosion damage. Shippers can also encounter many other hazards in the supply chain. Like salt water, gas products and marine air. Manufactured from our VAL55HD laminated packaging foil. 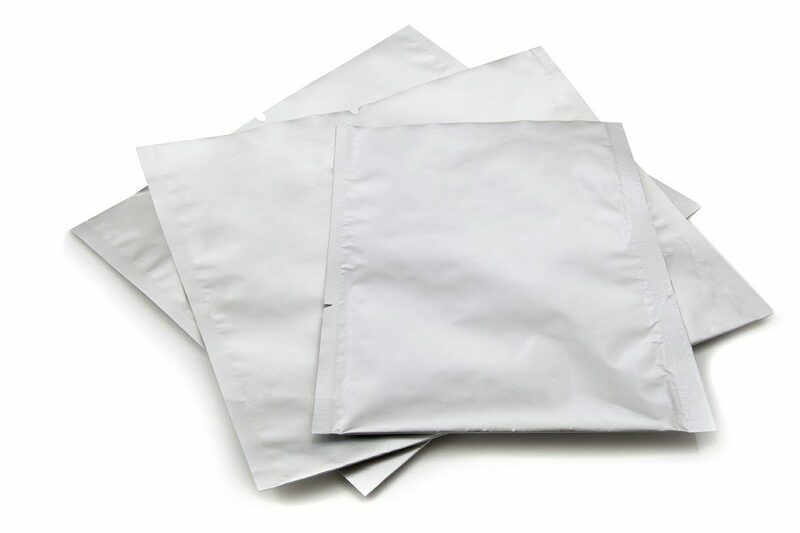 This product is widely considered a ‘best in class’ moisture barrier packaging. An ultra low water vapour transmission rate to ensure that once closed with a heat sealer. The bag will continue to protect your valuable goods into the long term. 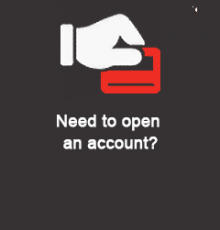 Clients for this product operate in a wide variety of markets. They perform well when protecting moisture sensitive products. Like powdered granules and consumables. To manufactured and precision engineering parts. 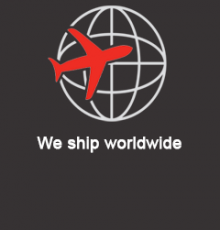 Packaging materials of this kind are excellent for shipments that may have lengthy transport times. As well they may go into storage at the end of this. Ideal to ensure that the product reaches the end user in factory condition. 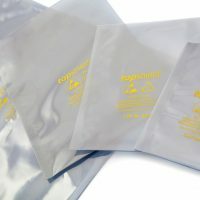 Clients can buy these Barrier foil bags supplied in standard sizes for convenience. With ‘easy open’ tear notches included. Custom are sizes available to order. 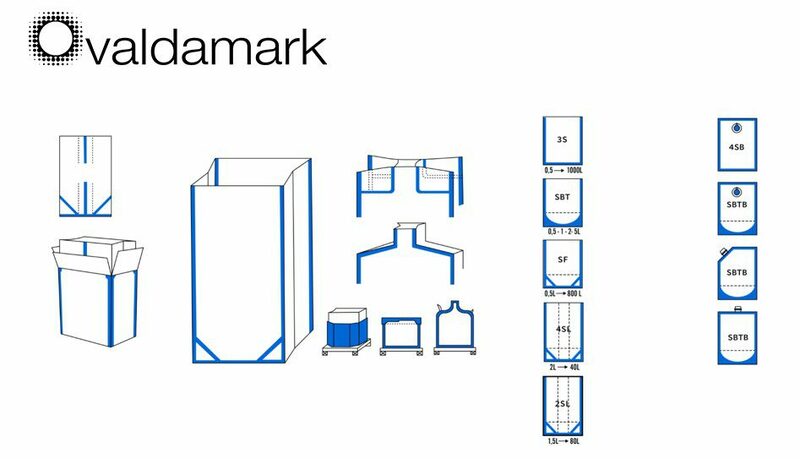 Primarily Industrial Packaging. Sea shipping and Long term storage projects. Industries include Aerospace, Automotive, Medical Equipment and Electronics. It’s perfect as product packaging for sensitive items. Meeting the MIL-PRF-131-K Class 1 and Def Stan 81-147 (formerly Def Stan 81-75) specifications. 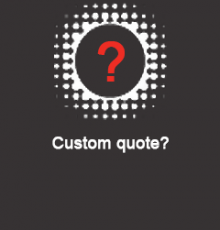 Just let us know if you have any specific requirement at the order stage. 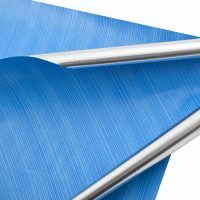 Ideal for products with sharp edges. Inclusive of tear nicks for easy opening. Requires heat sealing with a compound foil bag sealer. Set to 180°c for 2 seconds. Please note – this product is intended for use by appropriately trained professionals. 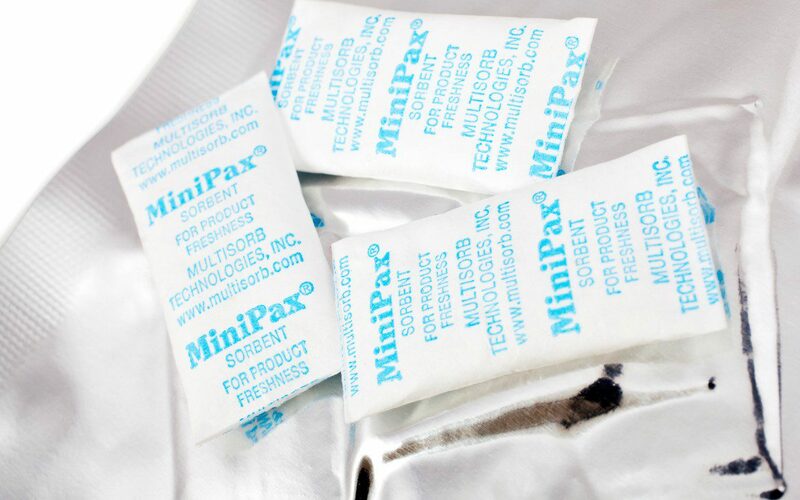 Use in conjunction with Silica Gel Sachets for optimal performance. Dependent on quantity and specification but usually 7 – 10 Workings Days. Please note – these products are cut to order in production runs. Often we will have these in stock in which case delivery can be expected in 3 – 4 days. However in the event of low stock please allow 7 – 10 days for production and delivery. 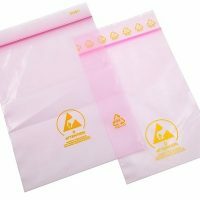 For more information on our laminated packaging pouches & heat seal foil bags please visit our corporate site.